2019 date confirmed – Saturday 14th September! Click here for more. Our first Meanwood Trail Race was in March 1996 and was held every year until 2015. After a three year break, the race returned in in September 2018 and the photos are online here. 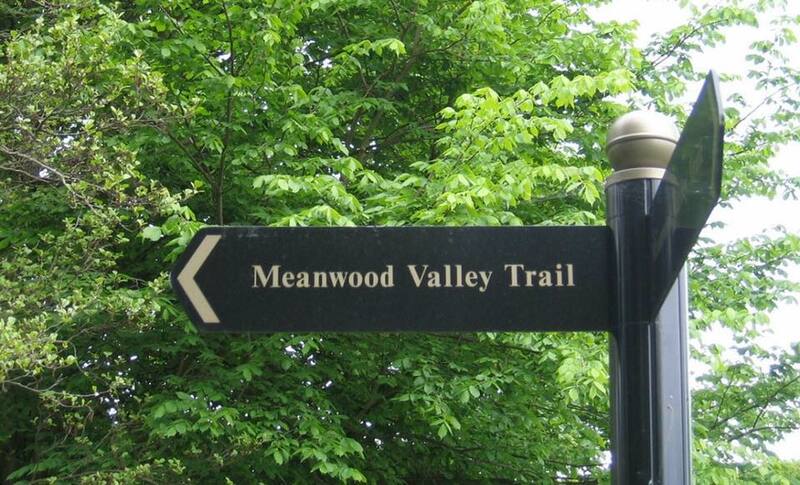 The route roughly follows the Meanwood Valley Trail from Leo’s to Meanwood Park and back. There have been some slight variations to the route but it has always been between 7 and 8 miles. The race has grown from 93 finishers in 1996 to over 300 finishers more recently. In 2004 we introduced a junior race of 1 mile for 7-10 years and 2 miles for 11-16 years. This has grown from 30 finishers in 2004 to over 100 in recent years. From 2001 onwards we have donated all of the profits to Lineham Farm Children’s Centre at Eccup – the total has now exceeded £12,000. Since 2002, the Meanwood Trail race has also been part of the Airedale Triple Trail – a 3 race series together with Baildon Boundary Way and Guiseley Gallop.